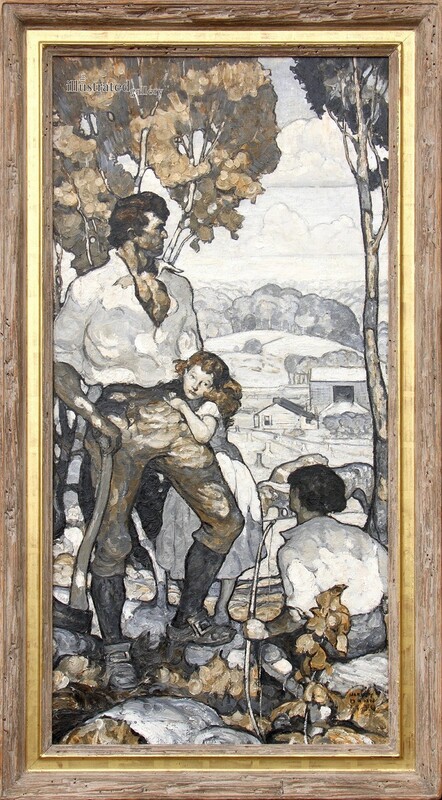 Harvey Dunn was a large, powerful man who paid for his art schooling by “sod-busting”, plowing under the thick, virgin, prairie grass for his home-steading neighbors of the Red Stone Valley of South Dakota. 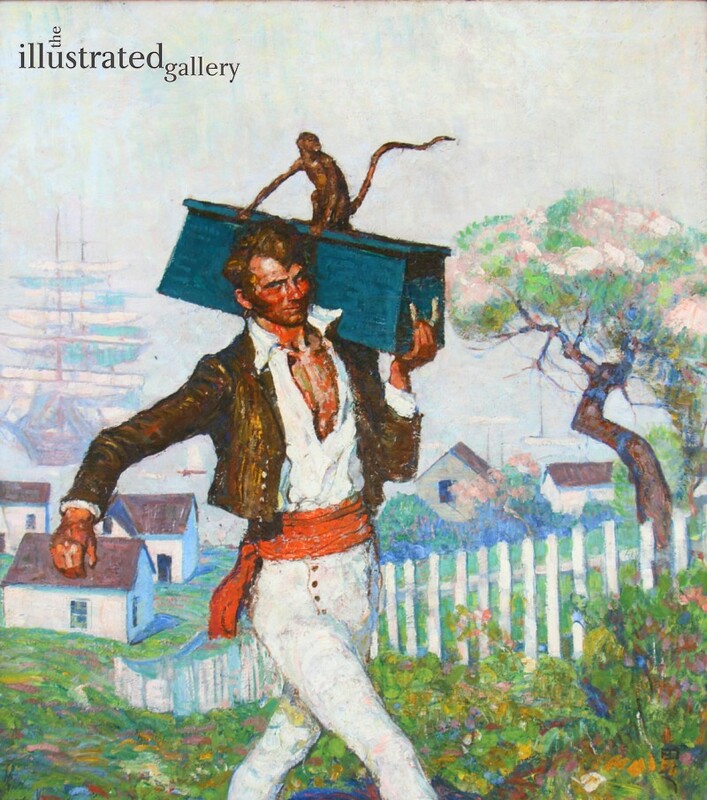 From the Art Institute of Chicago, he was invited by Howard Pyle to study at Chadds Ford. Of all Pyle’s students, Dunn was most deeply imbued with his philosophy, and as a teacher passed it along together with his own ideas, his straight-forward honesty and intolerance of pretense. 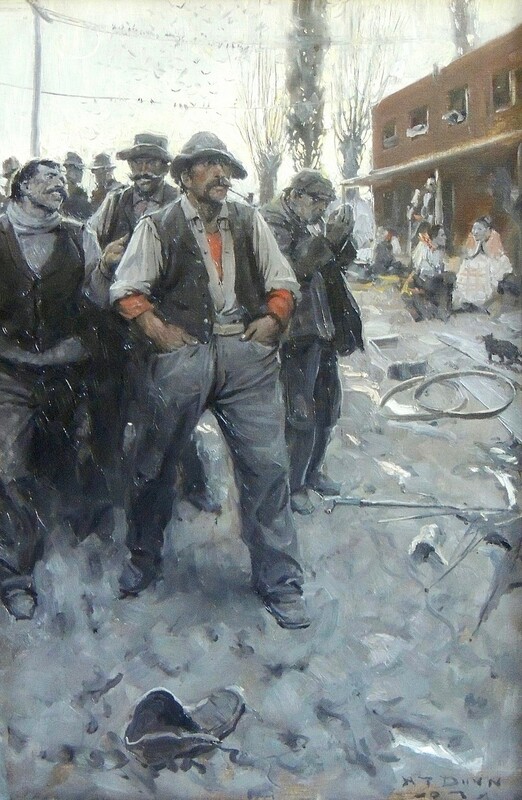 Among his students were Dean Cornwell, Harold Von Schmidt, Amos Sewell, Lee Gustavson, Mario Cooper, Saul Tepper, and numerous others. Dunn’s pictures, like the man, were forceful, yet combined great sensitivity with brilliant use of color. During World War I, Dunn was commissioned a Captain as an official war artist with the A.E.F. 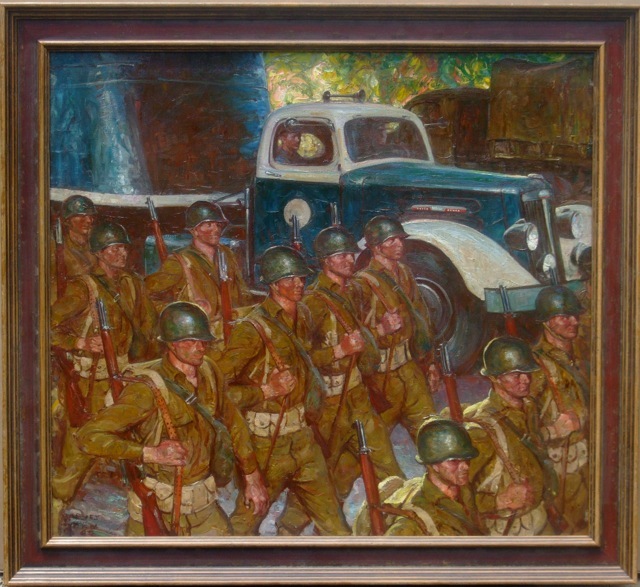 His experiences under fire produced many striking documentary drawings and paintings, now part of the archives of the Smithsonian Institution.